Our planet is beset with so many challenges. Some problems are beyond our control, while most are of our own doing. Though many solutions have been implemented, the majority of these global problems remain unresolved primarily because the answers that have been proposed are ineffective. Because of this, several highly educated people from reputable institutions and organizations around the world have resorted to unconventional solutions. Some are radical, while a few are downright bizarre. 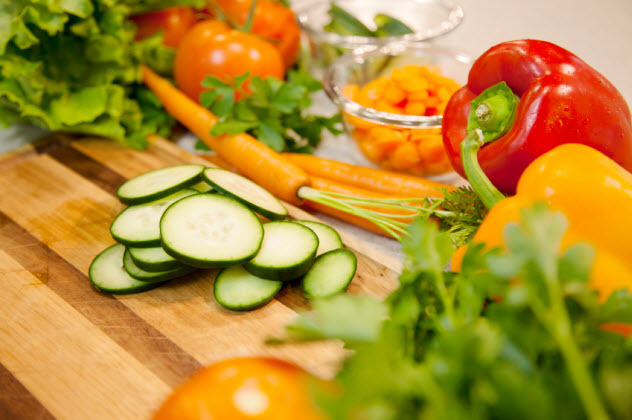 Albert Einstein once said, “Nothing will benefit human health and increase the chances for survival of life on Earth as much as the evolution to a vegetarian diet.” According to several studies, Einstein was right. Switching to a vegetarian or vegan lifestyle is the best thing we can do for our health and the key to solving one of the most pressing issues facing humanity today—climate change. At first glance, giving up meat consumption as a means to combat climate change might seem like a ridiculous idea, but a deeper look will tell you that it’s scientifically sound. In July 2014, the Proceedings of the National Academy of Sciences reported that “livestock production is among the most destructive forces driving climate change: It degrades air quality, pollutes waterways, and is the single largest use of land.” The UN estimates that livestock production contributes around 18 percent to climate change, while the World Watch suggests a more staggering number—51 percent. Furthermore, livestock production creates more greenhouse gases than all of the trains, boats, cars, and airplanes around the globe combined. Giving up meat consumption might be effective in solving climate change, but scientists have acknowledged that requiring the whole world to switch to a vegan or vegetarian diet is next to impossible. That is why they are urging us to at least minimize our meat consumption if we cannot completely give it up. Meatless Mondays, anyone? 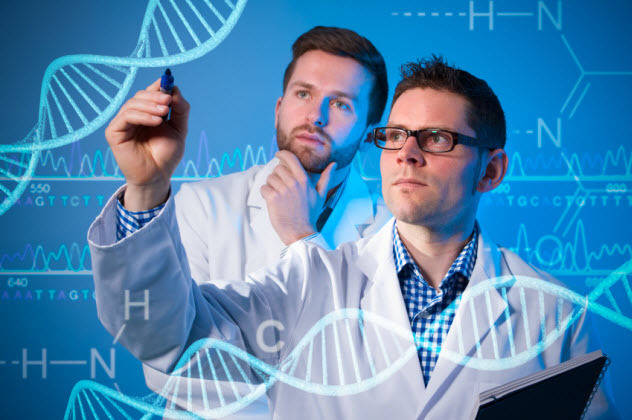 Zika virus was first discovered in 1947. Since then, several outbreaks have occurred sporadically in various locations around the world, especially in the Pacific Islands, Africa, and Southeast Asia. In early 2016, the virus resurfaced, this time hitting Brazil hard. Though the South American country had the most number of victims, several cases were also reported in other nations. Even though it’s not deadly and most of the symptoms are pretty mild, Zika virus is still dangerous. Pregnant women infected with the disease are likely to give birth to babies with unusually small heads—a condition called microcephaly—or other brain defects. To combat the Aedes aegypti mosquitoes that carry Zika virus, two Brazilian marketing firms, NBS and Posterscope, developed a bizarre solution—sweating billboards. These billboards attract and kill mosquitoes by releasing a lactic acid solution and carbon dioxide. Lactic acid smells like sweat (hence the name) while carbon dioxide is a component of human breath. In addition, these billboards were designed to attract mosquitoes as far away as 3 kilometers (2 mi). The marketing firms that developed these billboards have released the blueprint for free so that other nations and organizations around the world can also use them. 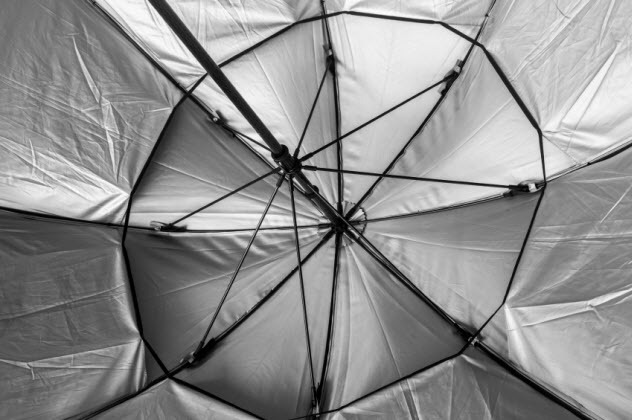 Creating a giant umbrella and then launching it into space might seem like a radical idea, but several respected organizations, like the European Union, Royal Society, NASA, and even the Intergovernmental Panel on Climate Change, see it as a viable solution to global warming. To bring back Earth’s preindustrial climate, all we need to do is block 2–4 percent of the Sun’s rays, so theoretically, a giant, space-based sunshade could work. However, in real life, building such a structure and launching it into space is next to impossible. The first design for the proposed giant space umbrella was created by James Early in 1989. In his model, Early described “a vast, 2,000-kilometer-wide glass shield.” The problem with his design was the weight. His proposed structure was so heavy that its construction would need to be done on the Moon. Though it only makes up a small fraction of Earth’s atmosphere, carbon dioxide has a huge impact on our planet’s temperature. This odorless and colorless gas, which we emit every time we breathe out, has been causing our planet a lot of problems, such as acidifying the oceans, melting glaciers and ice sheets, raising sea levels, and changing climate, wind, and precipitation patterns. 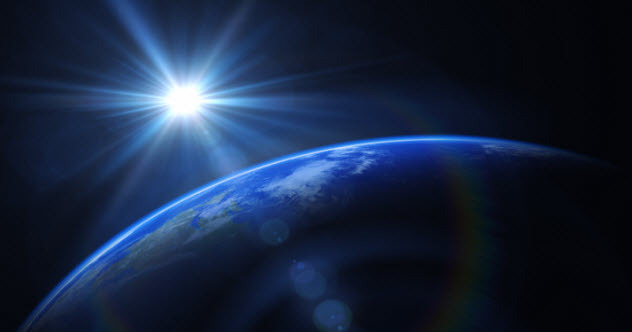 Unlike nitrogen or oxygen, carbon dioxide absorbs the Sun’s heat rays, resulting in what we know as global warming. To reduce the amount of carbon dioxide in the atmosphere, scientists are turning to bizarre but scientifically sound ideas. Klaus Lackner of Columbia University suggested the use of fake plastic trees to reduce the amount of carbon dioxide in the atmosphere. According to him, these artificial plants are 1,000 times more efficient than actual trees when it comes to sucking up carbon dioxide. Not only that but they are also capable of absorbing one ton of this greenhouse gas every day. Lackner estimates that in order to remove mankind’s total carbon dioxide emissions, 100 million plastic trees would be needed. The only problem with his idea is the cost. One artificial, “carbon dioxide–absorbing” tree costs $20,000. Contrary to popular belief, eating insects is not harmful and it’s definitely not a fad. For thousands of years, our ancient ancestors have munched on bugs. Even great civilizations, such as Rome and Greece, included insects in their diets. In some parts of the world, bugs—such as caterpillars, grasshoppers, and worms—are considered delicacies or aphrodisiacs. 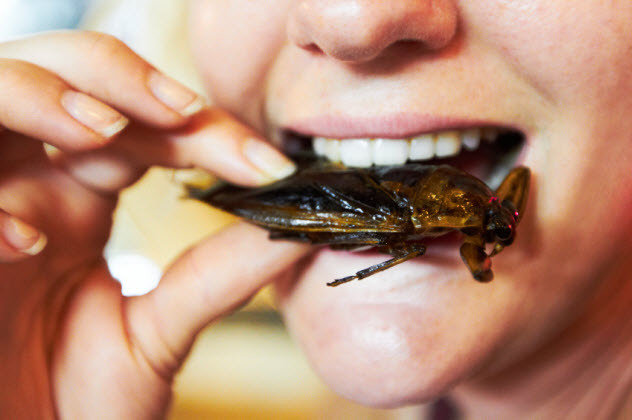 Now experts are suggesting that edible insects could potentially solve world hunger. In 2013, the Food and Agriculture Organization of the United Nations released a 200-page report showing that eating bugs could minimize food shortages, food insecurity, and food hunger. Farming insects is a lot less harmful to the environment than raising livestock. Raising insects for food consumption produces fewer greenhouse gases and uses less water. In addition, bugs feed on waste materials, and raising them could provide jobs for people in rural areas. Most solutions to global warming can be divided into two categories: changes in human behavior and modifications to Earth’s environmental processes. The problem with these solutions is that they are either ineffective or high-risk. For example, new governmental policies rarely do anything significant to minimize carbon dioxide emissions, while geoengineering methods, such as releasing sulfur into the atmosphere, could spell catastrophe. First, they suggested intolerance to red meat. We now know that livestock production is one of the biggest contributors to climate change, so this suggestion makes sense. Second, they proposed that we make humans smaller. By doing so, the amount of energy we need to consume will be greatly reduced. Third, they recommended that we make humans smarter. A few studies have shown that “higher cognitive ability [is] linked to lower birthrates.” Finally, they suggested treating people with hormones like oxytocin to make us kinder toward and more understanding of the suffering of animals and other people that occurs with global warming. By 2030, it is estimated that India will overtake China and become the world’s most populated country. When India became a free nation in 1947, its total population was only 345 million, but in 2014, it reached more than one billion. This means that in just 67 years, this country added more than 900 million people. To control its growing population, the Indian government introduced vasectomy to its male citizens. However, the campaign was later abandoned primarily because this Hindu country is “a largely male-dominated, patriarchal society where male sterilization is still not accepted socially.” When the vasectomy approach failed, the government turned to its female citizens and introduced tubectomy. What makes India’s tubectomy campaign radical (bordering between inhuman and unethical) is its massive scale and bizarre incentives. According to estimates, 37 percent of all married Indian women have undergone tubectomies in sterilization camps that are scattered throughout the country. In fact, between the years 2011 and 2012, 4.6 million women were sterilized. In some countries, giving monetary incentives for sterilization is illegal, but in India, it’s the norm. It’s not only the women who get cash but the health workers (if they can convince a woman to undergo sterilization) who get rewarded as well. Some women are unwilling to undergo the procedure, but they are forced by their husbands because of the monetary reward. Oddly, it’s not only cash that these poor, gullible women and their families get. TVs, motorcycles, food blenders, and even cars have been given as incentives. Blue might seem a bizarre color for lighting, but several experts have suggested that using this hue to illuminate streets and train stations could help to solve two rampant global problems: street crimes and suicides. In 2000, Glasgow, Scotland, installed blue streetlights all over the city to beautify its landscapes. After the lighting fixtures were installed, something surprising happened. The number of crimes in places where the blue lights were set up noticeably decreased. Inspired by these unexpectedly positive results, the police force of Nara, Japan, installed blue streetlights throughout the prefecture in 2005. Once again, the crime rate mysteriously dropped. This time, the number of crimes decreased by 9 percent. Aside from street crimes, blue lights have also been found to prevent suicides. 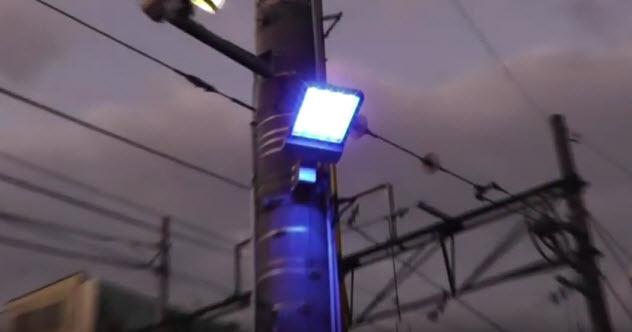 Several railway companies, such as Keihin Electric Express Railway Company in Japan, have set up blue lights at stations in an effort to stop people from jumping in front of trains. According to the company, “no suicide attempts have occurred” since the blue lights were installed. We’ve talked about several extreme solutions to solve global warming, but nothing may compare to the radical idea of moving the Earth away from the Sun. A group of scientists from NASA have proposed the use of comets or asteroids to alter our planet’s orbit and place it in a colder and safer spot within the solar system. The plan—which was advocated by Greg Laughlin, Don Korycansky, and Fred Adams of NASA’s Ames Research Center—involved the same methods proposed by scientists to change the direction of comets or asteroids heading toward our planet. Basically, an asteroid or comet would be carefully maneuvered so that it passes by Earth very closely and transfers some of its gravitational energy to our planet. If this plan succeeds, the speed of our planet’s orbit would increase and it would move the Earth away from the Sun. In a perfect world, this plan would succeed and global warming would miraculously be solved. However, in real life, this radical plan is virtually impossible to execute and could lead to catastrophic results. If scientists are not careful in directing the asteroid or comet, it could hurtle directly into Earth, resulting in devastating consequences that we only see in Hollywood movies. Aside from that, there is also the question of the Moon. It’s common knowledge that the Moon affects some of Earth’s environmental processes. If the distance between our planet and the Moon is altered, then it could radically upset our climate. When not busy working with MeBook—an app that transforms your Facebook into an actual printed book—Paul Jongko spends his time writing interesting stuff and creating piano covers.